Though the mind-blowing, sci-fi film Gravity didn't take home Best Picture, director Alfonso Cuaron still walked away with an Oscar for his work behind the camera, and it was well-deserved. And while the film is kind of old news now as we move on to the releases of 2014, there's still some cool stuff surfacing surrounding the impressive piece of cinema. 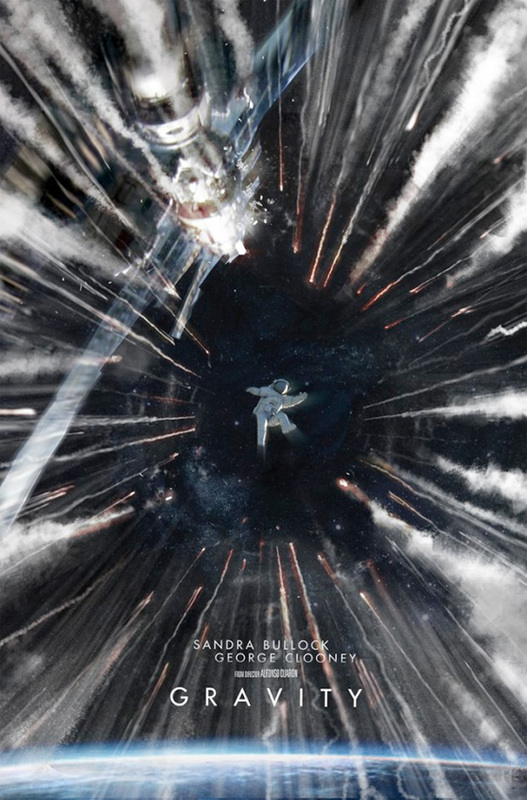 In this case, Framestore, who was responsible for the insane visual effects that ran through the entirety of the film, crafted a bunch of poster designs to promote the film, but only a few were used. io9 has rounded up a bunch of the preliminary design sketches, and they even have the old 2012 release date, which just goes to show you how far in advance these kind of plans begin. Gravity is directed by visionary Mexican filmmaker Alfonso Cuarón (watch our interview here), of Great Expectations, Y Tu Mamá También, Harry Potter and the Prisoner of Azkaban and the sci-fi Children of Men previously. 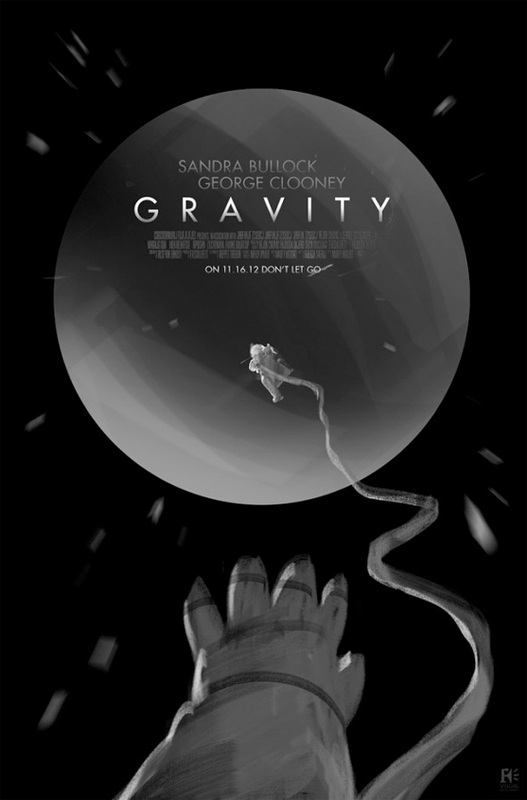 The screenplay was written by Alfonso and his son Jonás Cuarón and the film stars Sandra Bullock and George Clooney. 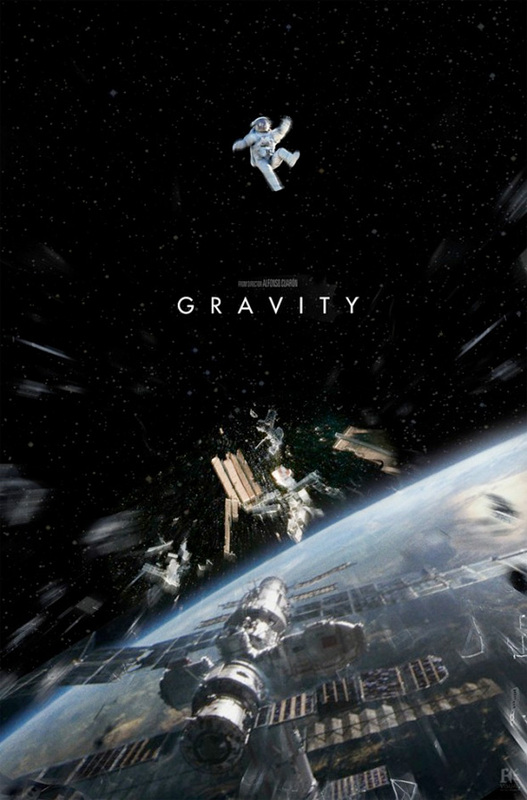 Warner Bros. released Gravity in IMAX theaters and 3D everywhere on October 4th, and again last month, but the film arrived on Blu-Ray and DVD on February 25th. Cool? Amazing. The symbolism in the first one is just awesome. The last one is my favorite. Yep, the last one is the best. Framestore seriously rock, great images. 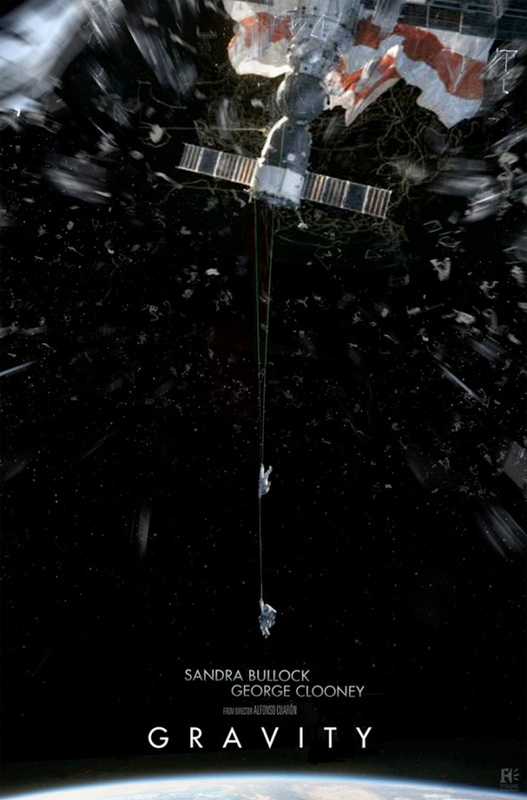 having the space station destruction in the poster would have been a bit of a shame, so no surprise they were not used. 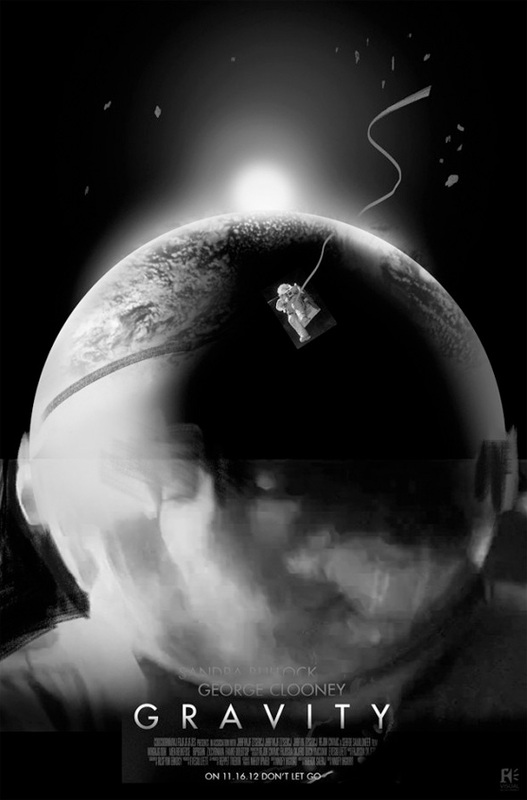 agree with @michaelniederer:disqus, love the first one, has the same graphic sensibilities as the posters for Moon, but the penultimate one *without* the space station would have been fantastic. Third and fourth ones are my picks.